From local businesses through to multi-national companies, we’re hard at work helping clients get the most out of their online business and digital marketing. Don is one of the founding directors of Piranha and was the original Creative Director. A graduate of Bolton University, Don obtained a degree in multi-discipline design, and pursued a career as a Graphic Designer/Art Director in a number of leading North West and Manchester agencies. Since 2003 Don has maintained a successful portfolio of clients, helping them fulfill their business’s marketing objectives and allowing Piranha to grow as an agency. Having migrated to the account management side of the business, Don joined Paul as an Account Director, with Peter becoming responsible for creative direction of the agency and studio workflow. This has provided Don with a unique skill base, having many years of creative experience, but also an in-depth knowledge of marketing and account management. Our clients have become very comfortable working with Don, building strong working relationships and receiving the highest quality project delivery. This allows Don to manage a portfolio of clients whilst supporting the other directors, and staying abreast of the latest developments within digital marketing. Obtained a degree in Marketing in 1990 and the CIM Diploma in Marketing in 1991. Currently registered as a business link consultant. Instrumental in Piranha winning Lancashire Chamber New Business of the year in 2003. 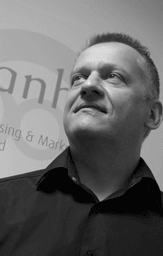 17 years experience of continued work for creative agencies (4 in total) including the last 10 years as account director for Piranha Adverting and Marketing Solutions. Main responsibilities include the project management of integrated marketing campaigns including brand creation, literature design and production, advertising, direct mail, PR, web development, new media and SEO. 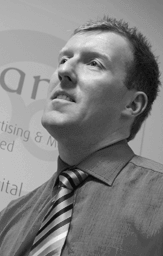 Peter is the Creative Director of Piranha and was one of the original shareholders who set up the company in 2001. Peter has worked at some of the regions leading creative agencies since he graduated from Blackpool and the Fylde College with a degree in 1996. Peter currently works on our major accounts and is responsible for concept and creative work, artwork as well as overseeing the quality of all projects produced by the creative team. 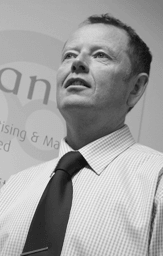 As with all members of the creative team, Peter uses the latest specialist design software in the production of creative campaigns, leaflets, brochures, catalogues, direct mail campaigns, adverts and multi-media. Peter’s key accounts include North West Training Council, NHS and Lancashire County Council, Peter is extremely skilled at meeting tight deadlines and has set up a home studio office to enable him to take work home with him ready for next day deadlines. Our SEO division was developed in 2003 and since this date the SEO team has integrated itself with our website designers and developers. This allows us to deliver results for clients who are receiving full services and stand alone SEO campaigns alike. Front page on Google, increased relevant traffic and higher conversions are the obvious goals for all our Search Engine Optimisation Specialists. Piranha’s web developers have in-depth knowledge and commercial experience in programming using a wide range of programming languages, online tools and legacy applications. If your site has any specific functional requirements then we can help you find the best solution, using a range of content management systems and bespoke options. Our hand picked creative team specialise in all forms of visual communication from branding through to targeted direct mail campaigns. With an eye for creative style combined with results driven marketing knowledge, the creative team at Piranha have many years experience in delivering high value creative solutions across numerous markets. Our in-house planners are responsible for planning complete campaigns and integrating external media solutions whether it is national press, regional TV, local outdoor advertising or radio. Our planners work closely with the creative team to ensure all visuals are appropriate to the media application and highlight the clients key messages and USPs. Buyers and planners work closely together to ensure each campaign is correctly targeted and also cost effective. At Piranha we have established relationships with all the leading media outlets with agreed and negotiable commission levels, ensuring our clients get the best deals on all media, print and production. All clients get assigned an experienced and professional account manager who is responsible for overseeing all campaigns, ensuring all deadlines, objectives and budget limitations are adhered to. Our team is used to working closely together to help implement solutions for a wide range of clients across various media formats. To find out more about the different aspects of work which has been undertaken by our team, take a look at our portfolio page.